task. Now researchers have learned to create custom versions not found in nature. Our bodies make roughly 20,000 different kinds of proteins, from the collagen in our skin to the hemoglobin in our blood. Some take the shape of molecular sheets. Others are sculpted into fibers, boxes, tunnels, even scissors. A protein’s particular shape enables it to do a particular job, whether ferrying oxygen through the body or helping to digest food. Scientists have studied proteins for nearly two centuries, and over that time they’ve worked out how cells create them from simple building blocks. They have long dreamed of assembling those elements into new proteins not found in nature. But they’ve been stumped by one great mystery: how the building blocks in a protein take their final shape. David Baker, 55, the director of the Institute for Protein Design at the University of Washington, has been investigating that enigma for a quarter-century. Now, it looks as if he and his colleagues have cracked it. Thanks in part to crowdsourced computers and smartphones belonging to over a million volunteers, the scientists have figured out how to choose the building blocks required to create a protein that will take on the shape they want. In a series of papers published this year, Dr. Baker and his colleagues unveiled the results of this work. They have produced thousands of different kinds of proteins, which assume the shape the scientists had predicted. Often those proteins are profoundly different from any found in nature. This expertise has led to a profound scientific advance: cellular proteins designed by man, not by nature. “We can now build proteins from scratch from first principles to do what we want,” said Dr. Baker. 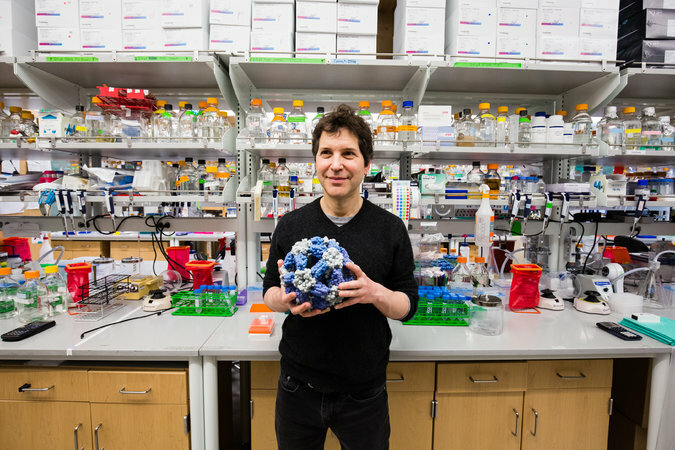 Dr. David Baker in his lab at the University of Washington, where scientists are learning how to create cellular proteins to perform a variety of tasks. Credit Evan McGlinn for The New York Times. Scientists soon will be able to construct precise molecular tools for a vast range of tasks, he predicts. Already, his team has built proteins for purposes ranging from fighting flu viruses to breaking down gluten in food to detecting trace amounts of opioid drugs. William DeGrado, a molecular biologist at the University of California, San Francisco, said the recent studies by Dr. Baker and his colleagues represent a milestone in this line of scientific inquiry. “In the 1980s, we dreamed about having such impressive outcomes,” he said. Every protein in nature is encoded by a gene. With that stretch of DNA as its guide, a cell assembles a corresponding protein from building blocks known as amino acids. Selecting from twenty or so different types, the cell builds a chain of amino acids. That chain may stretch dozens, hundreds or even thousands of units long. Once the cell finishes, the chain folds on itself, typically in just a few hundredths of a second. Proteins fold because each amino acid has an electric charge. Parts of the protein chain are attracted to one another while other parts are repelled. Some bonds between the amino acids will yield easily under these forces; rigid bonds will resist. The folding problem left scientists in the Stone Age when it came to manipulating these important biological elements. They could only use proteins that they happened to find in nature, like early humans finding sharp rocks to cut meat from bones. We’ve used proteins for thousands of years. Early cheese makers, for example, made milk curdle by adding a piece of calf stomach to it. The protein chymosin, produced in the stomach, turned liquid milk into a semisolid form. 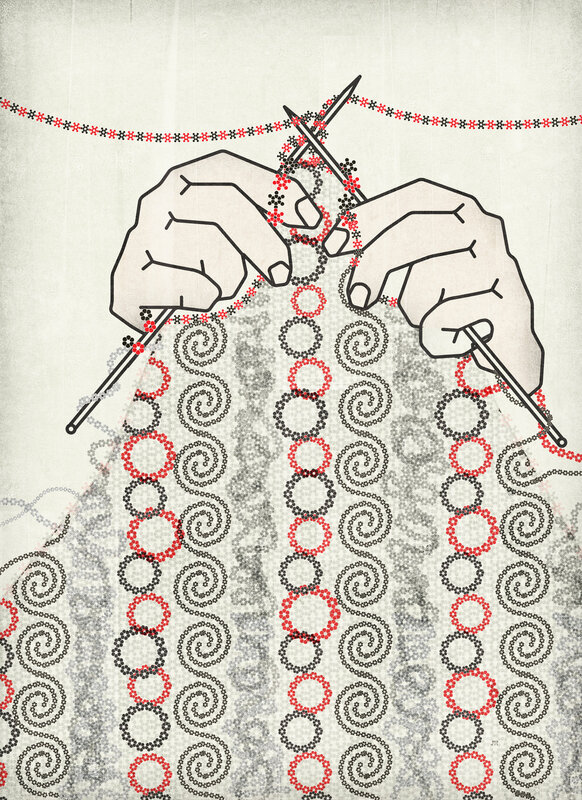 Today scientists are still looking for ways to harness proteins. Some researchers are studying proteins in abalone shells in hopes of creating stronger body armor, for instance. Others are investigating spider silk for making parachute cords. Researchers also are experimenting with modest changes to natural proteins to see if tweaks let them do new things. To Dr. Baker and many other protein scientists, however, this sort tinkering has been deeply unsatisfying. The proteins found in nature represent only a minuscule fraction of the “protein universe” — all the proteins that could possibly be made with varying combinations of amino acids. Dr. Baker has an elfin face, a cheerful demeanor, hair that can verge on chaotic, and a penchant for wearing T-shirts to scientific presentations. But his appearance belies a relentless drive. After graduating from Berkeley and joining the University of Washington, Dr. Baker joined the effort to solve the folding problem. He and his colleagues took advantage of the fact that natural proteins are somewhat similar to one another. New proteins do not just pop into existence; they all evolve from ancestral proteins. Whenever scientists figured out the shape of a particular protein, they were able to make informed guesses about the shapes of related ones. Scientists also relied on the fact that many proteins are made of similar parts. One common feature is a spiral stretch of amino acids called an alpha helix. Researchers learned how to recognize the series of amino acids that fold into these spirals. In the late 1990s, the team at the University of Washington turned to software for individual studies of complex proteins. The lab decided to create a common language for all this code, so that researchers could access the collective knowledge about proteins. In 1998, they launched a platform called Rosetta, which scientists use to build virtual chains of amino acids and then compute the most likely form they will fold into. A community of protein scientists, known as the Rosetta Commons, grew around the platform. For the past twenty years, they’ve been improving the software on a daily basis and using it to better understand the shape of proteins — and how those shapes enable them to work. In 2005, Dr. Baker launched a program called Rosetta@home, which recruited volunteers to donate processing time on their home computers and, eventually, Android phones. Over the past 12 years, 1,266,542 people have joined the Rosetta@home community. I have 1,005,660 BOINC credits for Rosetta from my days as a BOINC cruncher. Step by step, Rosetta grew more powerful and more sophisticated, and the scientists were able to use the crowdsourced processing power to simulate folding proteins in greater detail. Their predictions grew startlingly more accurate. The researchers went beyond proteins that already exist to proteins with unnatural sequences. To see what these unnatural proteins looked like in real life, the scientists synthesized genes for them and plugged them into yeast cells, which then manufactured the lab’s creations. 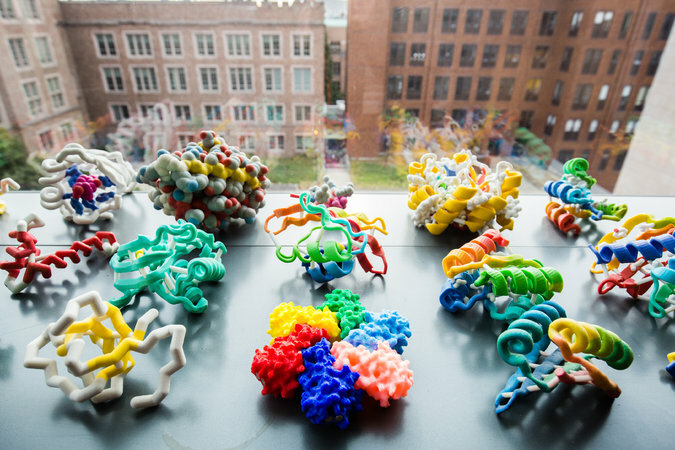 These advances gave Dr. Baker’s team the confidence to take on an even bigger challenge: They began to design proteins from scratch for particular jobs. The researchers would start with a task they wanted a protein to do, and then figure out the string of amino acids that would fold the right way to get the job done. In one of their experiments, they teamed up with Ian Wilson, a virologist at Scripps Research Institute, to devise a protein to fight the flu. Dr. Wilson has been searching ways to neutralize the infection, and his lab had identified one particularly promising target: a pocket on the surface of the virus. If scientists could make a protein that fit snugly in that pocket, it might prevent the virus from slipping into cells. Dr. Baker’s team used Rosetta to design such a protein, narrowing their search to several thousand of chains of amino acids that might do the job. They simulated the folding of each one, looking for the combinations that might fit into the viral niche. 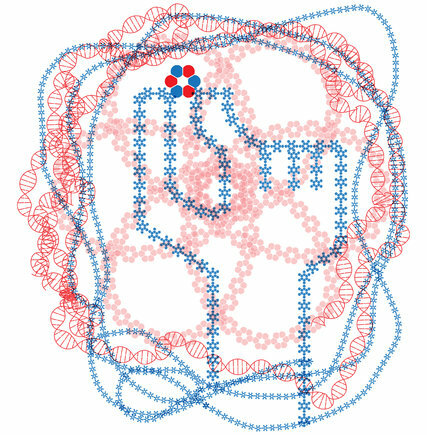 The researchers then used engineered yeast to turn the semifinalists into real proteins. They turned the proteins loose on the flu viruses. Some grabbed onto the viruses better than others, and the researchers refined their molecular creations until they ended up with one they named HB1.6928.2.3. To see how effective HB1.6928.2.3 was at stopping flu infections, they ran experiments on mice. They sprayed the protein into the noses of mice and then injected them with a heavy doses of influenza, which normally would be fatal. But the protein provided 100 percent protection from death. It remains to be seen if HB1.6928.2.3 can prove its worth in human trials. “It would be nice to have a front-line drug if a new pandemic was about to happen,” Dr. Wilson said. HB1.6928.2.3 is just one of a number of proteins that Dr. Baker and his colleagues have designed and tested. They’ve also made a molecule that blocks the toxin that causes botulism, and one that can detect tiny amounts of the opioid fentanyl. Yet another protein may help people who can’t tolerate gluten by cutting apart gluten molecules in food. Last week, Dr. Baker’s team presented one of its most ambitious projects: a protein shell that can carry genes. The researchers designed proteins that assemble themselves like Legos, snapping together into a hollow sphere. In the process, they can also enclose genes and can carry that cargo safely for hours in the bloodstream of mice. These shells bear some striking resemblances to viruses, although they lack the molecular wherewithal to invade cells. “We sometimes call them not-a-viruses,” Dr. Baker said. A number of researchers are experimenting with viruses as a means for delivering genes through the body. These genes can reverse hereditary disorders; in other experiments, they show promise as a way to reprogram immune cells to fight cancer. But as the product of billions of years of evolution, viruses often don’t perform well as gene mules. “If we build a delivery system from the ground up, it should work better,” Dr. Baker said. Gary Nabel, chief scientific officer at Sanofi, said that the new research may lead to the invention of molecules we can’t yet imagine. “It’s a new territory, because you’re not modeling existing proteins,” he said. For now, Dr. Baker and his colleagues can only make short-chained proteins. That’s due in part to the cost involved in making pieces of DNA to encode proteins. But that technology is improving so quickly that the team is now testing longer, bigger proteins that might do more complex jobs — among them fighting cancer. In cancer immunotherapy, the immune system recognizes cancer cells by the distinctive proteins on their surface. The immune system relies on antibodies that can recognize only a single protein. Dr. Baker wants to design proteins that trigger a response only after they lock onto several kinds of proteins on the surface of cancer cells at once. He suspects these molecules will be better able to recognize cancer cells while leaving healthy ones alone. Essentially, he said, “we’re designing molecules that can do simple logic calculations.” Indeed, he hopes eventually to make molecular machines. Our cells generate fuel with one such engine, a gigantic protein called ATP synthase, which acts like a kind of molecular waterwheel. As positively charged protons pour through a ring of amino acids, it spins a hundred times a second. ATP synthase harnesses that energy to build a fuel molecule called ATP. It should be possible to build other such complex molecular machines as scientists learn more about how big proteins take shape, Dr. Baker said.